With a date written in decorative naval signal flags and a message in semaphore flags a unique gift for a wedding, anniversary or engagement. 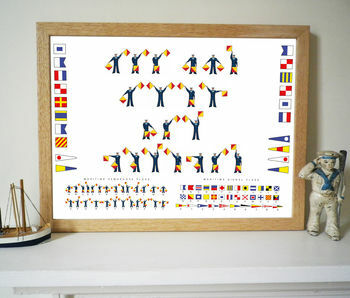 I have illustrated my own alphabet of royal navy semaphore flags and signal flags to create decorative and original prints that would make an unusual and original addition to your own home or as a gift for anyone who loves sailing or nautical decorations. 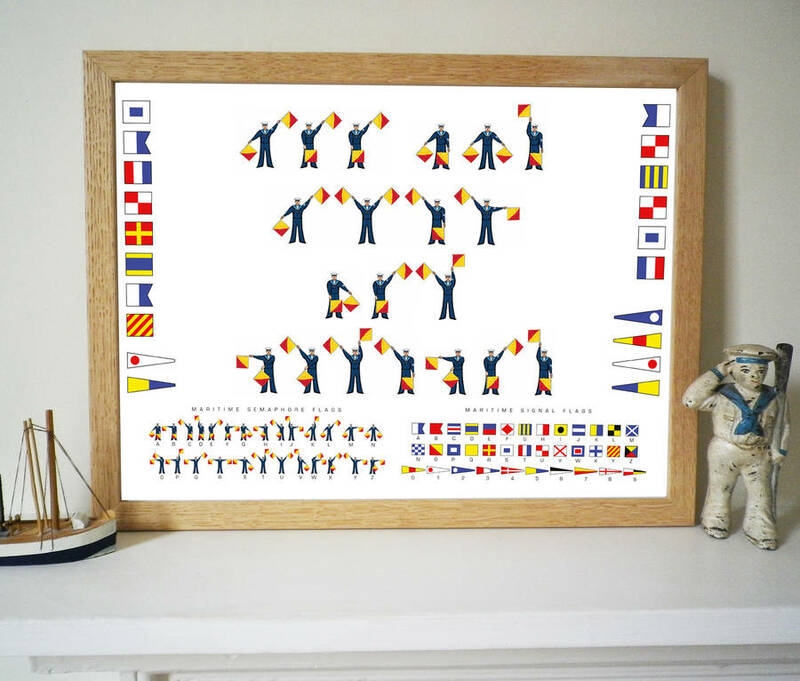 This print combines both so that you can have a date in the signal flags either side of the print and a personalised message in semaphore flags in the middle of the print. Would make a perfect and original gift for a wedding, engagement or anniversary. The keys at the bottom of the print enable translations and add to its decorative appeal. For personalising you can have the day, date, month and year in signal flags as a border and a 4 line message in semaphore flags. Approximately 12 flags per line, the longer the message the smaller the images. The example shown reads "Lee and Kate got hitched". 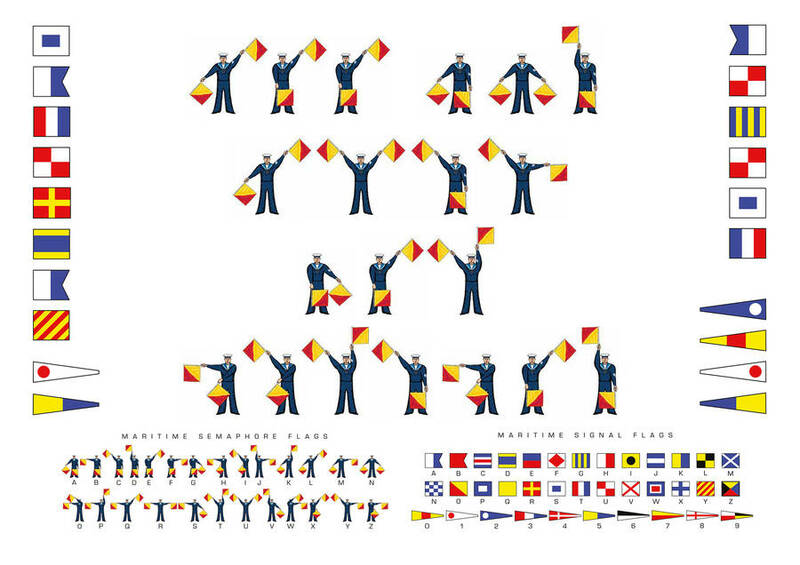 You cannot have numbers, ampersands or punctuation in the semaphore flags. If you have a query on your message send an enquiry through 'Ask Seller A Question'. Please note that personalised prints cannot be exchanged so if you would like to see a proof before printing please send a request. For frame prices go to "framing" option menu. These are available for price indicated in the UK only by Standard Delivery. Unframed print is 42cm x 29.7cm and will fit a standard A3 frame. Also available as a framed print in an A3 white wood or black wood frame.